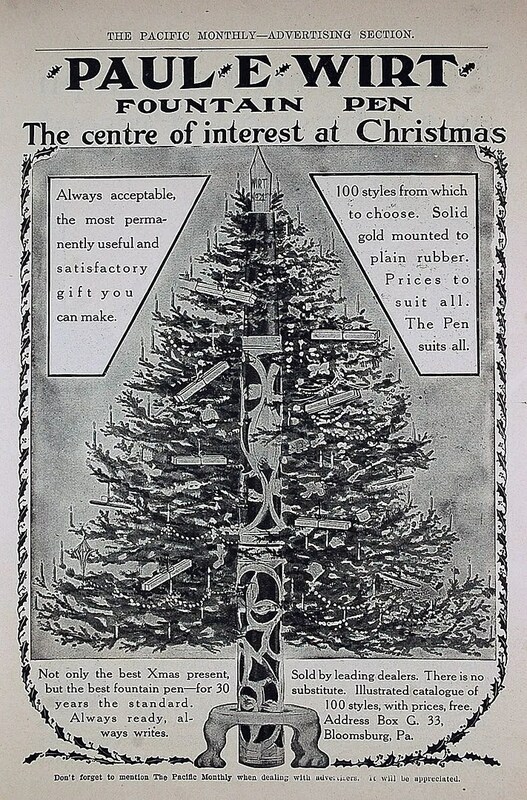 Happy Holidays from Fountain Pen Restoration. This is our fifth year Christmas post, and I thought this was an appropriate greeting card. From the December 1907 issue of Pacific Monthly – – – – A Merry Wirt (Bloomsburg, PA) Christmas! Many more pens in the repair queue, as well as some interesting historical curios for 2012 – see you in the New Year! I own an extensive collection and I would like to visit my blog (longoriabalmori.blogspot.com). I do it for hobby iguel you and also do some restoration on my pens. Sorry, but only speak Spanish. Include your link in my blog and if you like me appreciate you would do the same.